Society – consumers will continue to demand more intelligent machines and it is expected that mobile device use will continue to grow. These two trends will allow society as a whole to gain more familiarity and comfort with cognitive systems. Technology – leading experts agree that current architecture must advance to take full advantage of cognitive computing. So far technology advances such as natural language processing and deep-learning coupled with more robust data from IoT devices has made strides in providing better input and output opportunities for cognitive systems. Perception – continued education about the value of cognitive computing, grounded in reality, is necessary to keep interest and funding. Information – With the explosion in digital data, it is getting harder and harder to keep pace with the volume and velocity without technology such as cognitive computing. IDC predicts that the digital universe will reach 40 zettabytes by 2020 which will further drive the advancement of cognitive capabilities. Policy – as more entities adopt the technology, policies around data sharing, data privacy, data security and decision making will also need to be revised and reapplied. Skills – a skilled work-force is recognized as a top challenge by industry leaders. Currently, the skills needed to advance the technology are limited. The supply of skilled workers is low and more are needed to not only put cognitive systems in place but to also produce actionable results. 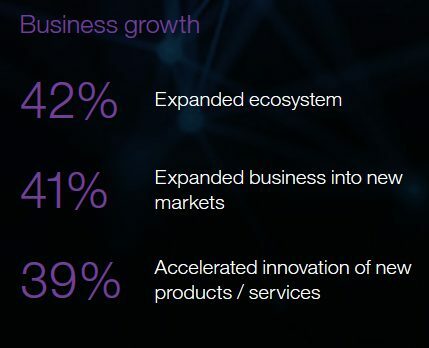 If you would like to read in more depth about the factors affecting cognitive computing growth, please check out this white paper by IBM: Your Cognitive Future, How Next-Gen Computing Changes the Way We Live and Work. Start with a pilot project. Most businesses adopt cognitive computing by first testing the technology on a specific business issue. From there these companies find success by embracing a test-and-learn mindset so that they are refining their model as they learn more. Finally, your cognitive system and solution must be scalable, so you are ready when it is time to expand. Data is everything. When approaching a cognitive project you must have a clear data strategy. You must know what data sources you need, where the data is created and how it is managed. Your data set must also be big enough in order for your cognitive system to drive valid conclusions. Build a team. Many early adopters of cognitive computing also agree that building a cross-disciplinary project team, whether the project is large or small, is important. Allowing business to be involved helps make sure the insights derived from your cognitive system can be applied to the customer or company-specific challenge. The team also looks for and relies on IT partners that bring to the table specific technology and industry expertise to augment critical skills. Our team works with you to first access your IT architecture, data and specific needs to determine which IBM Watson solution would best suit. We then put together a recommendation on how to best implement the cognitive solution and work closely with IBM and your team to set it up. 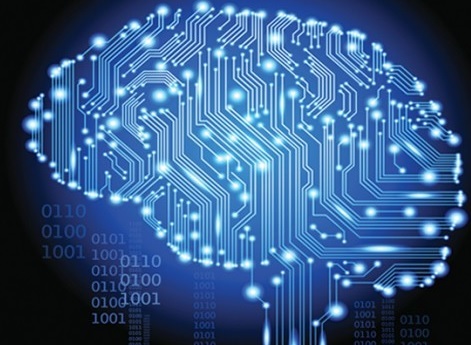 Read more about what cognitive computing can do for your business. “Artificial intelligence (AI) is rapidly moving from nice-to-have into must-have territory for organizations. In fact, nearly six in ten AI early adopters think it will be a necessary element to remain competitive within the next few years. Two-thirds say AI is very important to their organization’s strategy and success”, reports Susan Hupfer for IBM. In fact, 62% of early adopters are reporting that their AI initiatives are exceeding their expectations. According to IBM, half of early adopters are already reporting workplace productivity and efficiency. Think about how AI technology could combine with your business strengths to improve operations, employee performance and ultimately customer satisfaction. IBM explains cognitive computing as follows, “cognitive technology augments human expertise to unlock new intelligence from vast quantities of data and to develop deep, predictive insights at scale.” Cognitive computing is opening up more real-time opportunities for many businesses across many industries. In fact, analysts expect investment in cognitive technology to grow from $2.5 billion in 2014 to $12.5 billion in 2019. 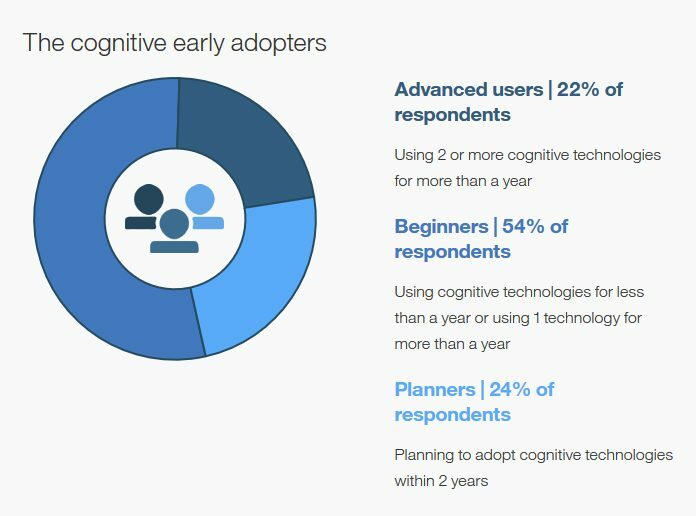 IBM recently surveyed over 600 decision makers who are early adopters and asked about the benefits they are experiencing. The road to adoption isn’t always easy. Many of the decision makers surveyed sited data management and an employee skills gap as challenges. Turning to outside expertise has been key to helping them overcome both challenges. Cognitive computing is helping many early adopters unlock new opportunities. As more practical use cases develop, we can expect more companies to put cognitive technology to work for them. “What if your X-ray could predict a potential disease months in advance,” writes Laura Lorenzetti for Fortune. This past summer IBM Watson Health created a new partnership with leading medical providers and imaging tech companies to see if cognitive computing can take medical imaging one step further to actually predict the chance of diseases like cancer and heart failure. One example from the article is the use of mammograms. Not only could Watson connect the image results to the patient’s medical history but it could also “cross-reference against the similar patients within the Watson database.” These connections could improve a doctor’s ability to identify early warning signs or risks. Another example is the use of cognitive computing to help doctors predict which patients are more likely to have a heart attack after reporting chest pain. Ms. Lorenzetti reports that 2% of patients who visit an ER with chest pain have the early signs of a heart attack missed. By connecting the data dots IBM Watson Health could help doctors identify these signs better. IBM Watson Health’s shear power to process unstructured data such as medical imaging while also consuming vast amounts of patient data allows for it to draw cognitive insights that will one day improve patient diagnoses and treatments. “Two and a half quintillion bytes or 2,500,000,000,000,000,000 bytes. That’s how much data humanity generates every single day. And the amount is increasing; we’ve created 90% of the world’s data in the last two years alone,” writes Michael Belfiore for IBM’s Watson Blog. Telecommunications – cognitive computing tools are being used to index documents, images and manuals giving call center agents access to more actionable data to better solve customer issues. Every second saved in call time is $1 in cost savings. Finance – an auto finance firm is using big data to develop better customer insights that not only allow them to serve customers better but also to improve data security. Healthcare – by being able to better capture and analyze unstructured data, one health system is using this data to help identify patients with risks for chronic diseases to improve treatments and reduce readmission. Fitness – the rise of mobile and wearables has led to a fitness app that tracks your performance and progress and coaches you through your workouts to meet fitness goals. Retail – a clothing retailer has used big data to drive a better in-store experience using sensors and Wi-Fi data to track customer behavior while in the store. Travel – one airline is using mobile to access customer preferences, travel history and even allergies to provide more personalized service in-flight. In each of these examples, cognitive computing technology allows companies to harness big data to create better customer service experiences. Last week’s blog post featured information on what augmented intelligence (AI) means and the industries using the technology from IBM Research. Today, let’s review a couple real life examples of AI applications. First, a quick definition, IBM prefers to refer to AI as augmented intelligence. Their approach is to use cognitive computing capabilities, such as machine learning, reasoning and decision tech, language, speech and visual tech and human interface tech, to create practical applications that enhance and scale human expertise. These two examples both demonstrate not only the processing power of augmented intelligence systems like Watson but also the ability to “learn”. This ability to learn can provide access to critical expertise to more people than ever before in healthcare and financial services. A recent article from Tech Crunch by Devin Coldewey highlights an RFI response from IBM regarding artificial intelligence (AI). Mr. Coldewey writes, “The field of artificial intelligence is so huge, and the potential applications so numerous, that it would be folly to try to explain it all in one — no, wait, IBM just did.” Today we will look at some of the highlights from IBM’s response. In particular for IBM what started as a contestant on Jeopardy, IBM Watson, is now full blown cognitive computing that can be applied to practical problems in a variety of industries. Next week, we will feature more on the blog from IBM’s AI 101. Be sure to check back. Until then you can also read more on AI and cognitive computing here. “Back when the world shifted from the horse and buggy to the automobile, paved roads were needed to enable people to enjoy the full benefits of the internal combustion engine. So roads were paved and, eventually, the highway was invented. The same will be true in today’s transition from conventional computing to cognitive computing,” writes Scott Crowder of IBM Power Systems. In a recent article Mr. Crowder breaks down the role that hardware is playing in cognitive computing. Today, let’s take a look at some of his thoughts. Two new supercomputers are also being developed using hardware built for big data and architecture that has data-centric computing. The project leaders are also adopting software-defined storage to more efficiently manage data-intensive tasks. These new super computers under the “CORAL” project are expected to be delivered in 2017 and will perform five to seven times faster than other supercomputers in the U.S.
“I expect advances in processors, system design, accelerators and storage to come in waves over the next few years,” writes Mr. Crowder. For example already IBM’s Power systems which were built to support big data are adapting nicely to the needs of cognitive computing due to their “superior throughput for transferring data back and forth between memory and the processor, and because of their ability to execute more computing processes concurrently.” Mr. Crowder also points out that accelerators will be a key element in cognitive computing and already are used to support machine learning applications. Mr. Crowder expects the coming years to be an exciting time in hardware as more companies look to harness the power of cognitive computing. 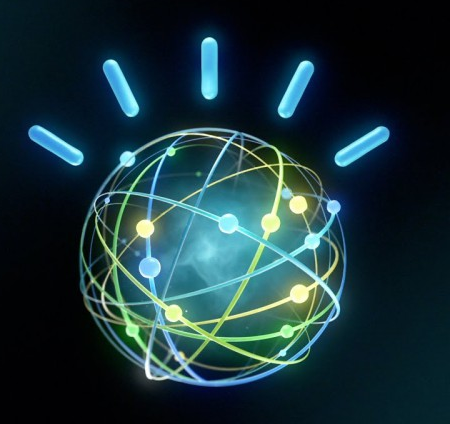 Industry News Round- up – What is Watson Up To? With a new year upon us, today let’s look at what IBM Watson has been up to so far in 2016. Fortune recaps Watson at CES where IBM announced new ways in which Watson is being used. Stacey Higginbotham writes, “Watson now offers coaching through Under Armour’s app for consumers using certain products. Watson can also warn diabetics using certain Medtronic devices if their blood sugar gets too low. Whirlpool is using the cognitive computer to grab data from its connected appliances in hopes of understanding if there are flaws in its manufacturing lines. And finally, Watson is now the brains inside SoftBank’s Pepper robot.” Ms. Higginbotham points out Watson’s ever expanding capabilities – voice recognition, computer vision and predictive intelligence. For Whirlpool using Watson is about handing data from connected appliances better and for Medtronic and SoftBank it is more about extracting more value and opportunities from existing data. All in all, more industries are finding work for Watson. Natalie Gagliordi of ZDNet reports, “IBM’s Watson-powered wellness app with Pathway Genomics enters alpha release.The app focuses on a wellness report compiled from a bevy of data sources, such as a user’s genetic test, health habits, and health tracker information from the likes of Apple HealthKit.” This new app crunches diet, exercise and metabolism to build a “personalized approach to preventative medicine.” Ms. Galiordi points out that this is the latest effort by IBM to position Watson at the forefront of medical innovation. Bernard Marr takes a step back on Thoughts on Cloud and digs into what makes Watson tick. In his interview with IBM, he describes the three “legs” that form Watson’s cognitive computing. First, Watson is designed to use natural language processing so it can work and react in real language and IBM points out it can even learn nuances, idiosyncrasies and colloquialisms of human language. Second, Watson can process enormous amounts of data to come up with probabilistic answers. And finally Watson’s ability to learn, fueled by big data Mr. Marr points out, means Watson can only get better with every use.